What is the Eating Together Campaign? 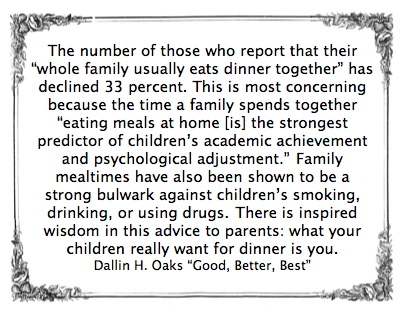 Research has repeatedly shown that families who regularly share meals bond and connect more effectively, have fewer problems, and stay together. With the proclamation of Family Day by City of Richmond Mayor Malcolm Brodie in 2011, Touchstone Family Association launched the Eating Together Campaign to raise awareness of the benefits of families eating together, and to raise funds for Touchstone’s barrier-free Front Porch Program – a program that provides counselling to families in need and have no place to turn. Touchstone Family Association has again partnered with Richmond Family Place to host a FREE Pancake Breakfast, cooked and served by the Richmond Firefighters Charitable Society, local 1286 and supported by the Richmond School District and the City of Richmond. To heighten family’s awareness of the importance of eating together to foster open, positive family interaction. To build awareness of the variety of ways families can enjoy eating in Richmond. To encourage families to feed the body in order to feed the mind. To raise awareness of programs offered by Touchstone Family Association and Richmond Family Place for families. To reduce incidences of employee absenteeism and increase safety in the workplace by improving relationships at home. To provide recognition to participating donors, and sponsors who are supporting the Free Family Pancake Breakfast in Richmond. If you would like to become an event sponsor, please contact Janice Kostiuk. For more information about Touchstone Family Association and other programs and services, please visit the programs page of this website. We take the approach that a family is also a place of belonging and want to educate families on the need to create and maintain healthy and stable environments. One of the most important things, which has also been clinically proven to be a major contributor in achieving a positive family environment, is for families to commit to Eating Together. Touchstone Family Association’s Eating Together Campaign is a new initiative started in 2011. The Eating Together week in February is a way for Touchstone Family Association to deliver a universal message of support and encouragement to all families.